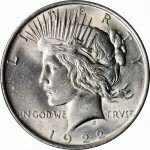 Please be aware that these particular Peace Dollars are offered as an “any year” product and as such the item you receive will be from either 1921-1928 OR 1934-1935. 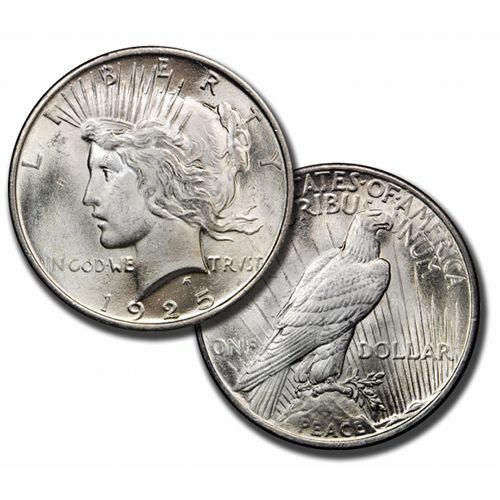 The coins are picked by our staff based on our current inventory selection and each has been assessed as being in BU (Brilliant Uncirculated) condition. 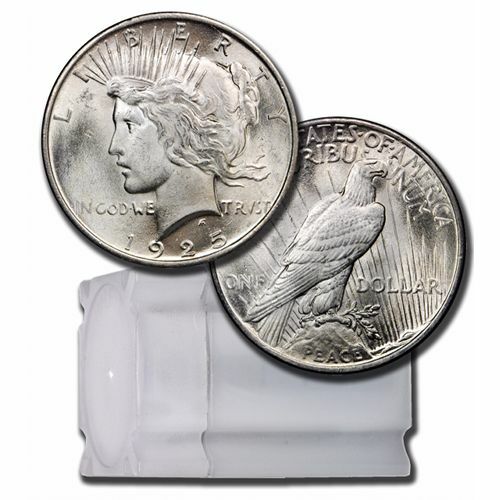 We are honored to offer BU-quality vintage Peace Dollars produced by the US Mint. 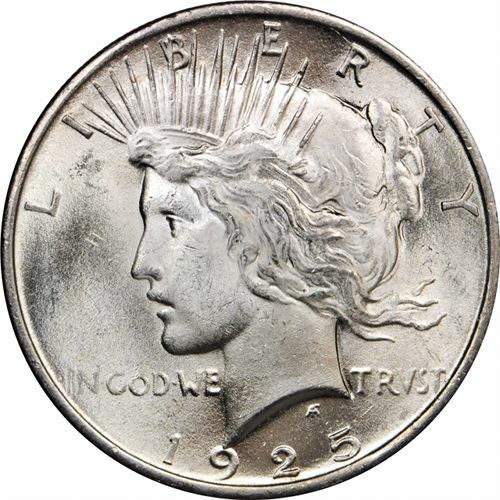 The Peace Dollar was minted with 90% fine silver in two editions from 1921 to 1928, and again from 1934 to 1935. 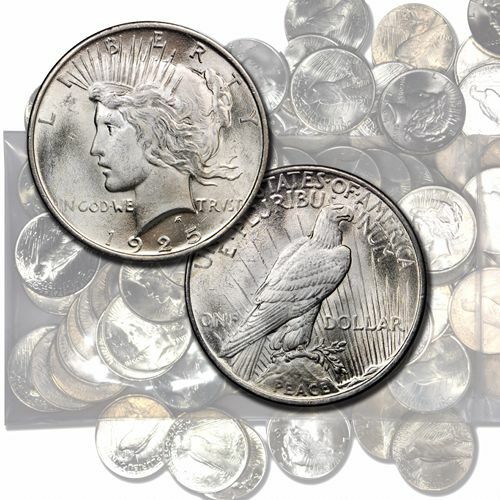 These brilliant uncirculated quality coins are an obvious benefit for the portfolios of investors and all collectors with a particular interest in Americana and the history of American coinage, as it was the last American true silver dollar. 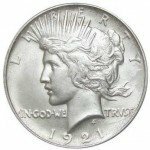 The Peace Dollar was minted to commemorate a hard-won peace at the end of World War I. It was designed by Anthony de Francisci, who used his wife Teresa as the model. The obverse side of the coin features an embossed profiled view of Lady Liberty. The word LIBERTY encircles her crown of light and she is flanked by the words IN GOD WE TRUST, with a V utilized for the U. The date of mint is embossed below. 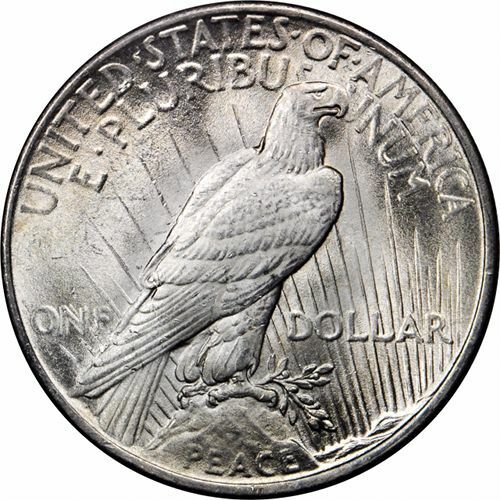 The reverse side of the coin features an eagle standing watchfully on a rock with rays of the sun rising at its feet. The motto Peace is stamped into the rock, below the eagle’s feet. The eagle’s head is encircled with the words UNITED STATES OF AMERICA, E PLURIBUS UNUM and it is flanked with the words ONE DOLLAR. We are pleased to offer price reductions for larger quantities as well as a four-percent price reduction for orders paid by check and wire. Orders will be sent through USPS or UPS within three days of cleared payment. Your order will be delivered directly to your home or business fully traceable and insured for its full amount. 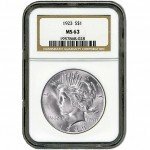 If you have any questions about these Peace Dollars in brilliant uncirculated condition or anything else, you can call one of our professional customer service representatives at 888-989-7223. You can also reach us through email or by using the live chat which is located at the top of the page.